After the DD set-up hype (I was way too excited to get that done first and ready to go! 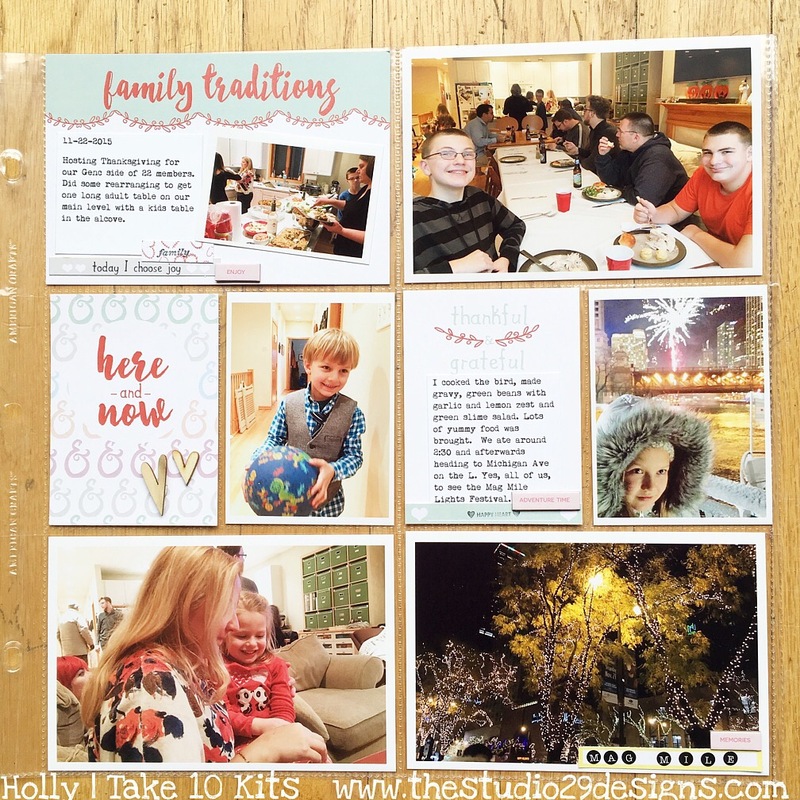 ), I cracked open the Take 10 November Kit to share a little layout inspiration. This year, we hosted my husband's side of the family for an early Thanksgiving! When I started looking at the cards I just knew what I wanted to do with them. 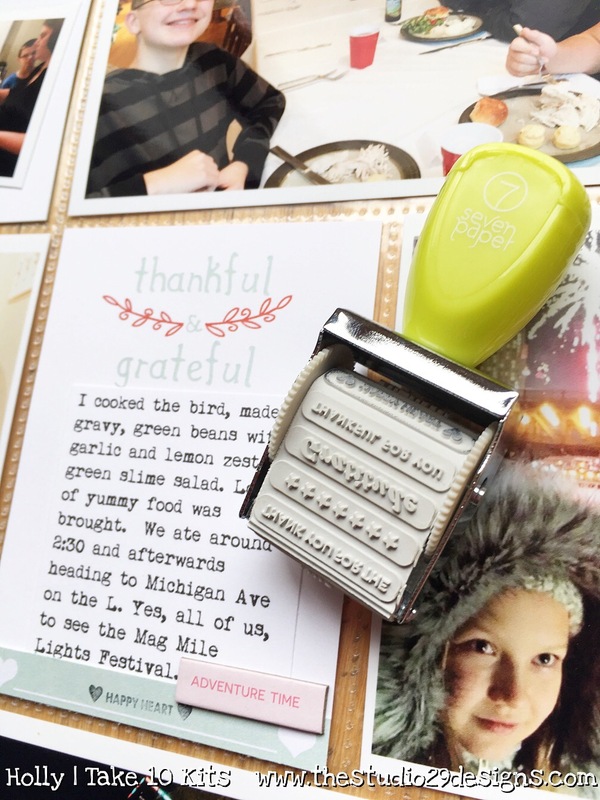 The cards are clean and crisp with sentiments that go well with a Thanksgiving layout! That miniature photo on the top left card is a favorite thing of mine. I just love the Picstitch app. Do you use it? 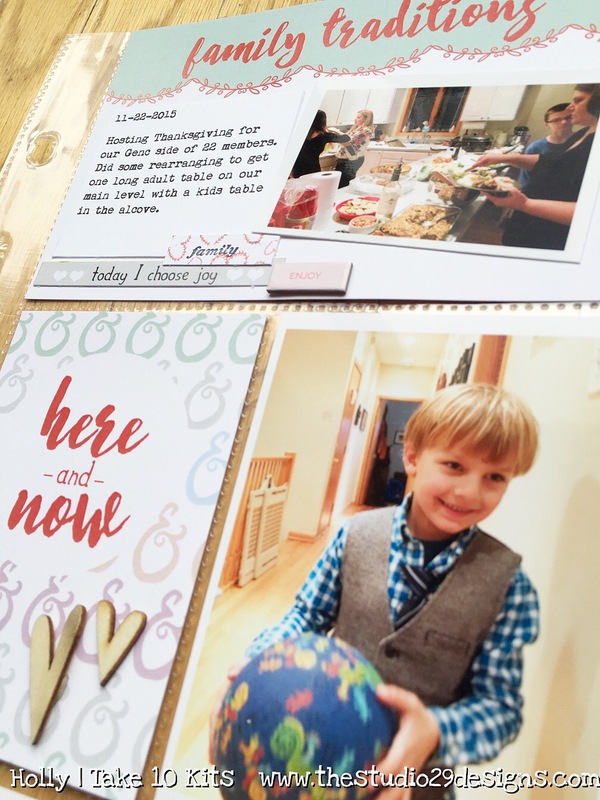 I mainly use it for putting two 3x4 pics on a 4x6 with a white border, but there are so many other combinations! This one was 4 pics on a horizontal (or landscape) 6x4. I highly recommend it! It has a free version or for a little extra you get some added features. I like being able to adjust the thickness of the white border so I upgraded. That roller stamp in the kit is excellent! Ok, what do you do when you see a typo after you are done done done? I obviously left it. I'm human. Photo credit for the one of my niece with the fireworks goes to my sister-in-law! It captured that exciting event perfectly.